These Print File plastic hanger bars are convenient for filing photo storage pages in standard file drawers. These Print File Hanger Bars are convenient for filing in standard file drawers. 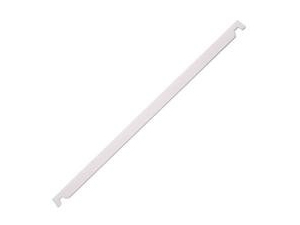 Just slide hanger bar through ID strip on any Print File pages designated by H, HB or P.
Available in a Pack of 25 or Save over $20 when you purchase a Box of 500 bars.